Burgundy must be enjoyed with all five senses, especially the eyes! In Dijon you can visit the palace of the Dukes of Burgundy, the museum of fine arts and the beautiful old town. 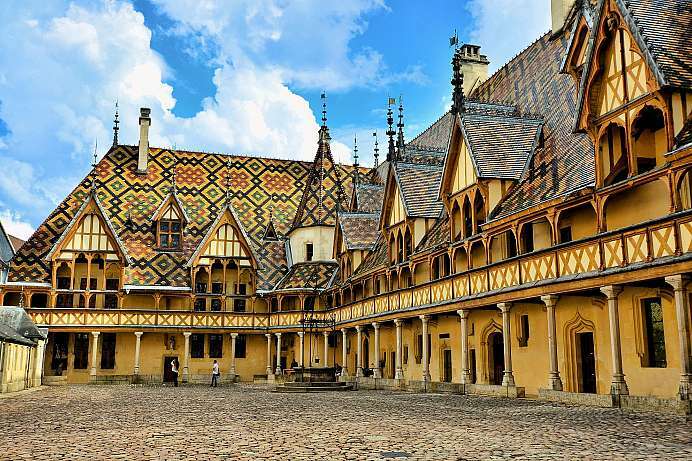 Other highlights in the vicinity are the Romanesque Basilica of Vézelay, Beaune with its famous high peaks and brightly painted roof tiles, and Nevers with its cathedrals. Outside the cities the beautiful landscape beckons. The forests in Morvan Nature Park seem to have existed since the dawn of civilisation. An excursion on foot or horseback is an unforgettable experience. Waterways covering a distance of 1,200 km represent a tranquil means of transport to the castles, abbeys and convents in one of the most beautiful regions of France. The wines of Burgundy are world famous and include Chablis, Côtes-de-Nuits, Côtes-de-Beaune, Côtes-Chalonnaises, Maconnais and Pouilly. The wines are rivalled in importance by the region's cuisine. Visitors shouldn't miss such specialities as the famous vineyard snails, eggs meurette (in delicate wine sauce), hams from the Morvan hills, Charolais beef and Bresse chicken. 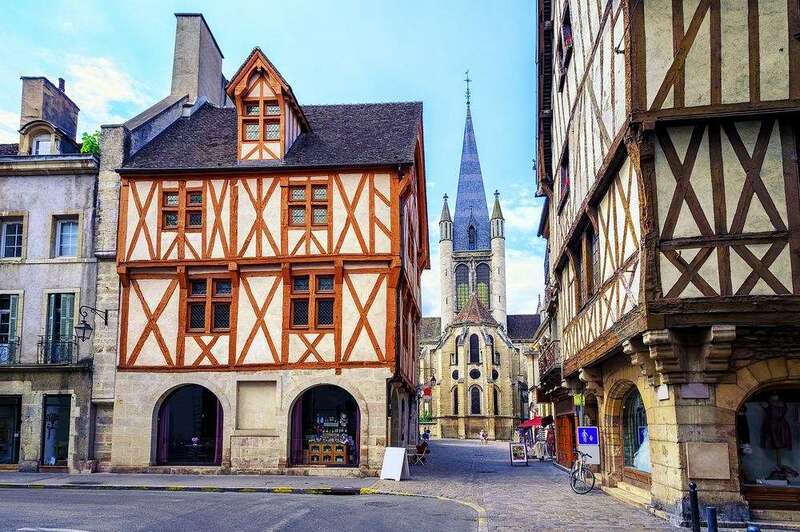 With its medieval buildings in the historic city center, its magnificent location in the heart of the Cote d'Or wine region, and its numerous restaurants and wine cellars, this city with a population of 23,000 is one of the most rewarding destinations in Burgundy. The best sight to see is the Hotel de Dieue, a splendid 15th century hospital. 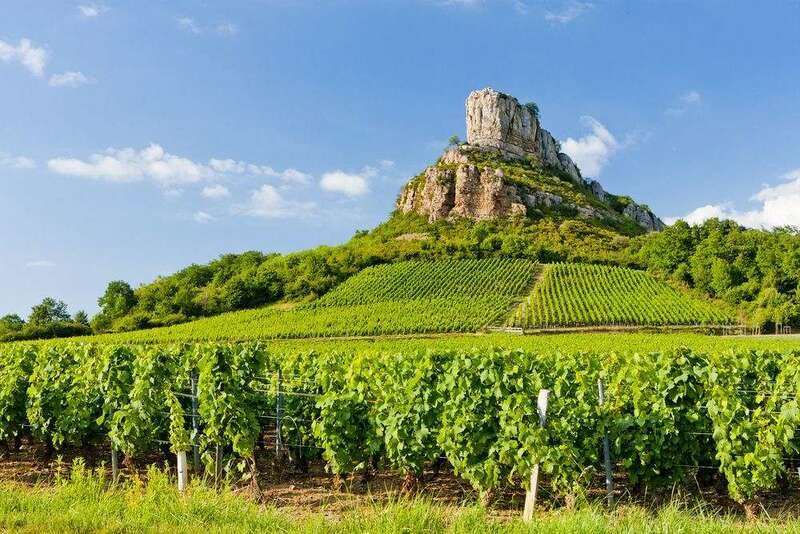 The Office de Tourisme and the Bureau Interprofessionell des Vins will tell you where to find vineyards, wine tastings and wine seminars. The village of 500 inhabitants on the edge of Morvan Nature Preserve is one of the most picturesque places in Burgundy. 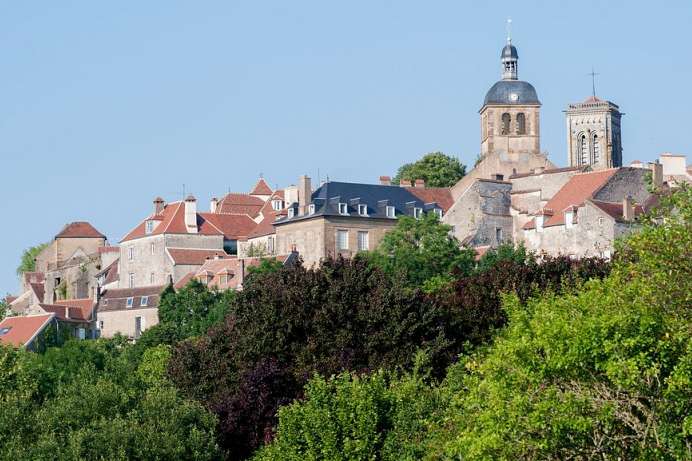 The town huddles around Vézelay Abbey, a masterpiece of Romanesque architecture named a World Heritage Site by UNESCO. The relics of Mary Magdalene made the church an important pilgrimage site in the high Middle Ages, the starting point for many pilgrims setting out on the Way of St. James to Santiago de Compostela. World history was made in the village when St. Bernhard of Clairvaux called for the Second Crusade in the Abbey. When the genuineness of the relics began to be called into question in the 13th century Vézelay quickly declined in importance as a pilgrimage site, and the village saw little development over the following centuries. Consequently, the medieval structures and idyllic surroundings were preserved and can still be enjoyed today.